The 5 best cities to live in across the world 2018! Living in a city such as London, we take for granted the sheer amount of amenities we have but according to Mercer’s 2018 quality of living index 2018, it comes just a measly 41st (67th for sanitation!) in the world. Now if you fancy taking the plunge and emigrating to pastures new. Be it for a career change or a new pace of life, we’ve put together the top 5 out of Mercer’s list that you could be jetting off to. bySTORED can help you in this move by storing the contents of your home for, either, the length of time you’re gone or just until you’re on your feet and we can ship it to you! Now see if any of these cities take your fancy and we’ll start thinking about shipping! This city on Canada’s west coast is the biggest in the British Columbia area and by the looks of things a great place to live. It has one of the shortest commutes as far as cities go, is surrounded by amazing lakes and mountains and has a really low level of crime compared with other major cities across the globe. Could Vancouver be your next jaunt? The capital of Bavaria! The 3rd largest city in Germany boasts a whole host of attractive qualities, from having some of the most beautiful architecture in the country to being the home to multiple breweries and beer gardens to keep you hydrated in those hot summers. The city is also knows as having one of the highest qualities of life and lowest crime rates across Germany. Based around two large harbours on New Zealand’s North Island, Auckland has that perfect big city/coastal mix you lose in a lot of major cities. Head to Sky tower (the big tower sticking out the skyline above) for panoramic views across parts of the city, or head to Auckland Domain and enjoy the city’s biggest park, which is actually built around a dormant volcano! It’s said the New Zealanders also have one of the most relaxed paces of life and we can see why, but it is ranked as one of the most expensive cities in the world! Are you prepared to splash the cash to have a stress-free life? 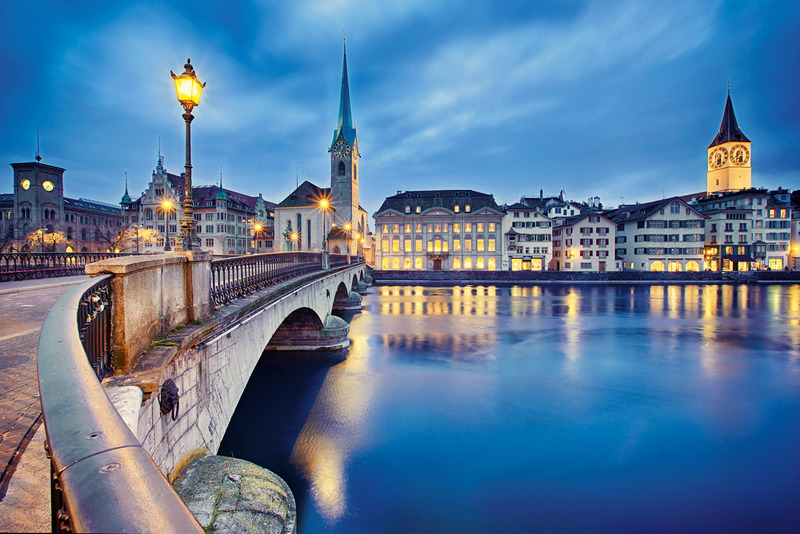 Perched on the northwestern tip of Lake Zurich, the city is the largest in Switzerland and a major hub of international activity. Across the whole area of Zurich, 26.5% of it is forest, giving you over a quarter of green space to explore (or just to Instagram). If you find yourself with some free time in Zurich, why not check out ‘The No Show Museum’ that is dedicated to nothing, literally, and it’s various forms across art history. Ranking as the best city to live for the ninth year in a row, Vienna is capital of the country and was home to the likes of Mozart, Beethoven and Sigmund Freud! The city has everything from great infrastructure and health care to amazing bars, restaurants, museums, palaces to keep every one of its inhabitants happy and the government are continuing to push the quality of living higher and higher! I mean, being surrounded by some of this amazing Austrian architecture every day is enough to keep us happy! Reckon you’re up for moving to the best city in the world? Don’t get yourself mixed up with the happiest place in the world, that’s said to be Copenhagen! Also if you reckon your city has a better quality of life, do leave us a comment below! Head to our homepage to see how we could help you make the move to one of the above, or anywhere you fancy, by helping you out with a bit of stress-free storage! Or if like us you reckon that #41 in the world isn’t bad and you’re gonna stay put, check out our guides on how to make the most out of London living!